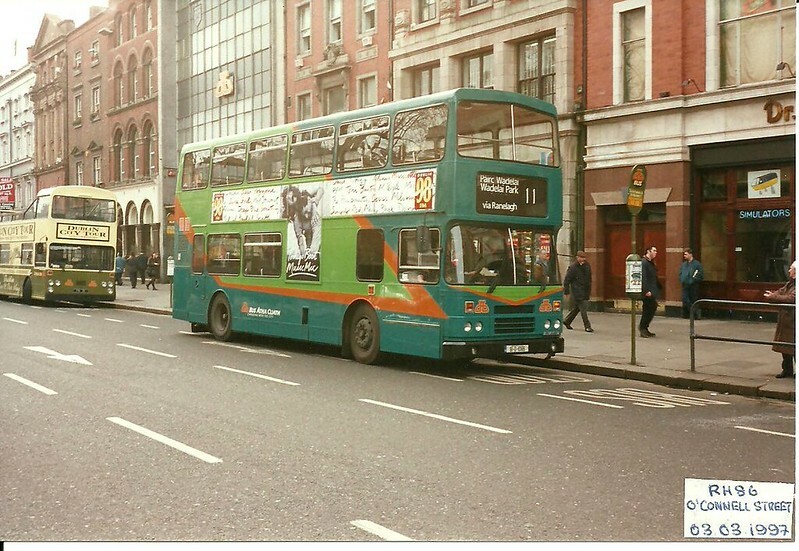 I thought for 2016 I might post a photo from the archive every Thursday, showing buses from the past. The first shot was taken on this day in 1995, but I cannot guarantee all future shots will be from the same day as they are posted. I had forgotten the W. How many did they have? and for how long? They only had a handful of them. About five or six. Were meant to be tested on some DART Feeders but instead ended up on the 222 from Tara Street to St. Stephen's Green via O'Connell Street, before moving to the 300 from Omni Park. Think they lasted until about 97/98 when the 103 and 104 from Omni started. 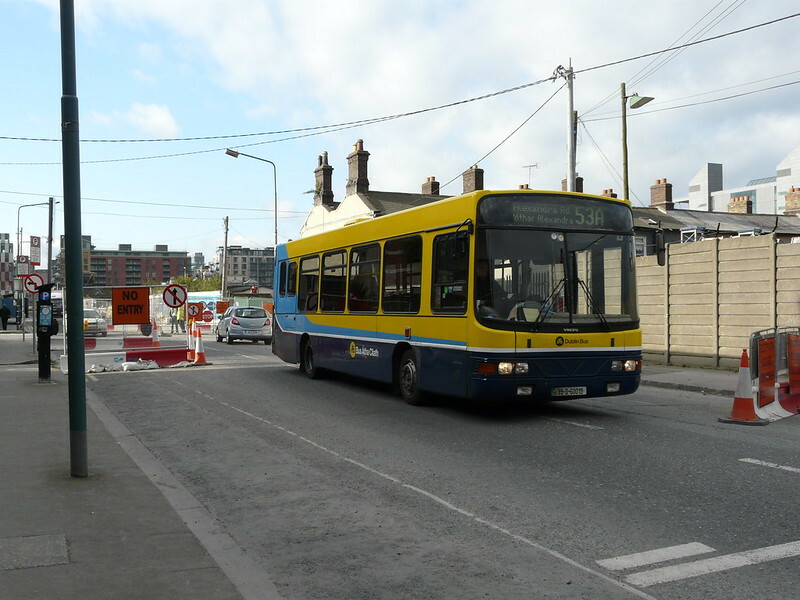 For this week we are only going back to 2009 and to WV 19 on the 53A. The bus is now gone and the route is now gone. The bus is seen on New Wapping Street on the 1st April 2009. 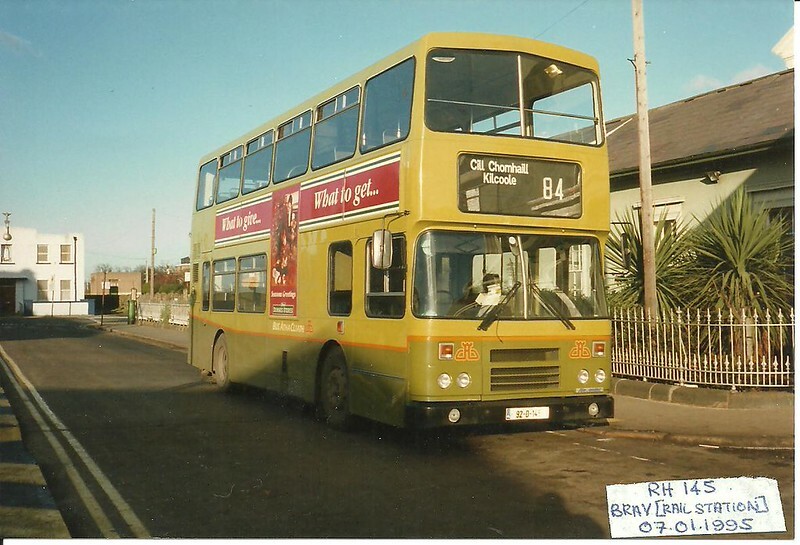 For this week's Throwback Thursday we go back to 1982 and the first Leyland Atlantean in the CIE fleet. D 1 entered service in February 1967 so was already fifteen years old when this photograph was taken. 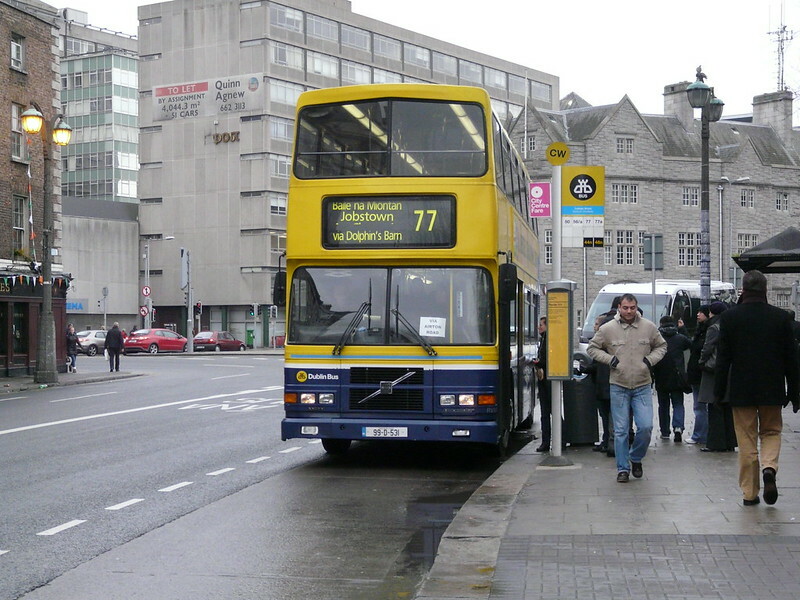 It was withdrawn eighteen months later, Although the first bus in the fleet it was not the first to enter service, that honour falling to D 4. D 1 was the first out of an eventual fleet of 840. I'm glad they didn't go with that colour scheme. I was a fan of the green they had in the early 90s. And the orange back in the 80s. Was it the D class that had the sort of spiral stairs? It is the tenth of March and the tenth Throwback Thursday. And we are going back twenty years to 1996. 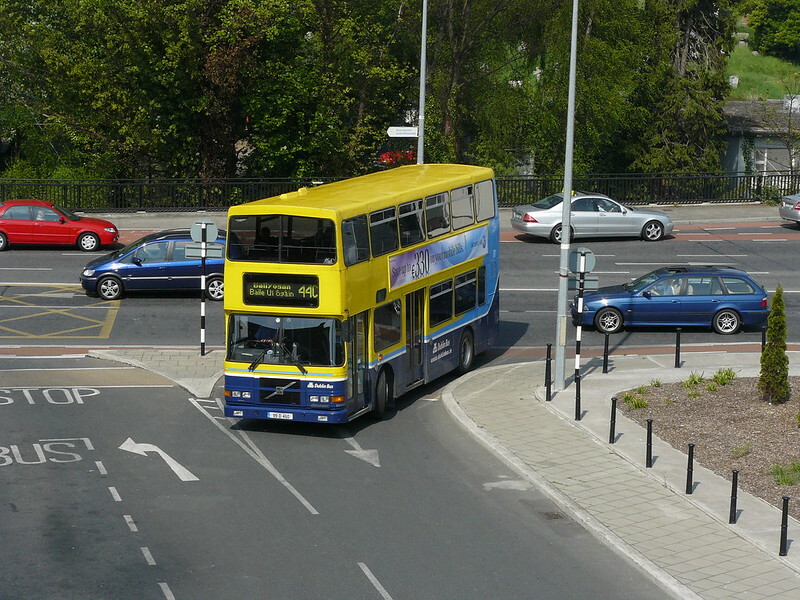 KC 9 is seen at the 44A terminus on Mount Prospect Avenue in Clontarf. 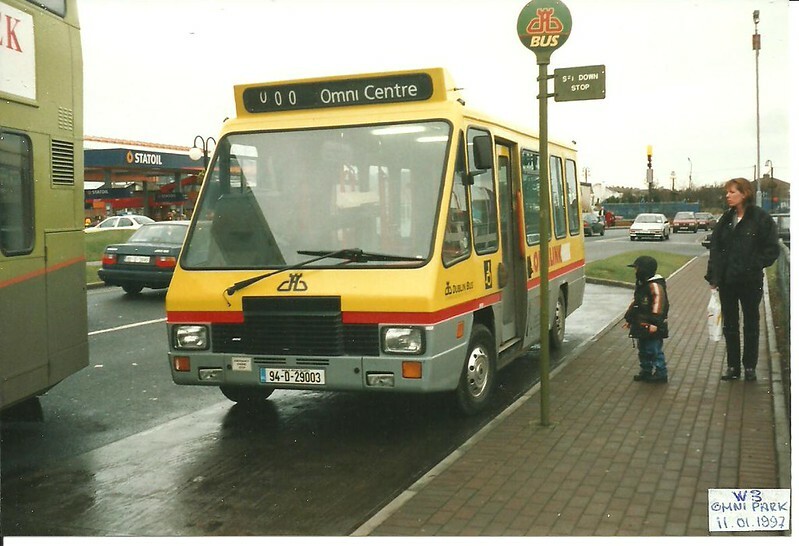 This route, along with similar route 30, was replaced on the 17th March 1996 by City Imp route 130. This was the era of when some of the city bus routes were being replaced with more frequent minibus services under the brand of City Imp. 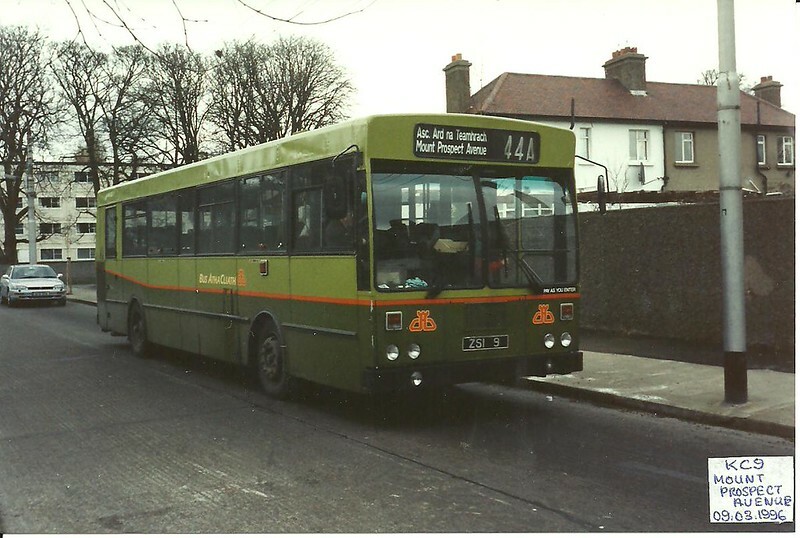 The 44A was one of those numbering oddities within Dublin Bus as the 44, 44B, and 44C all operated on the southside while the 44A was confined to the northside.